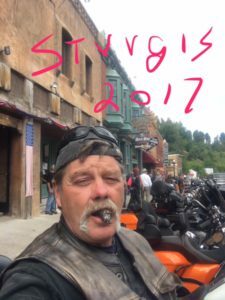 Well the weather has been bad here in south Georgia and I haven’t been out on the bike very much and have been getting a little cranky. So the weather cleared up today and I decided that it was time to go for a putt. Some folks I met the other night at Stogies, had told me about a town called Thomasville Ga and I thought that might be a good place to ride to (about 80 miles round trip). 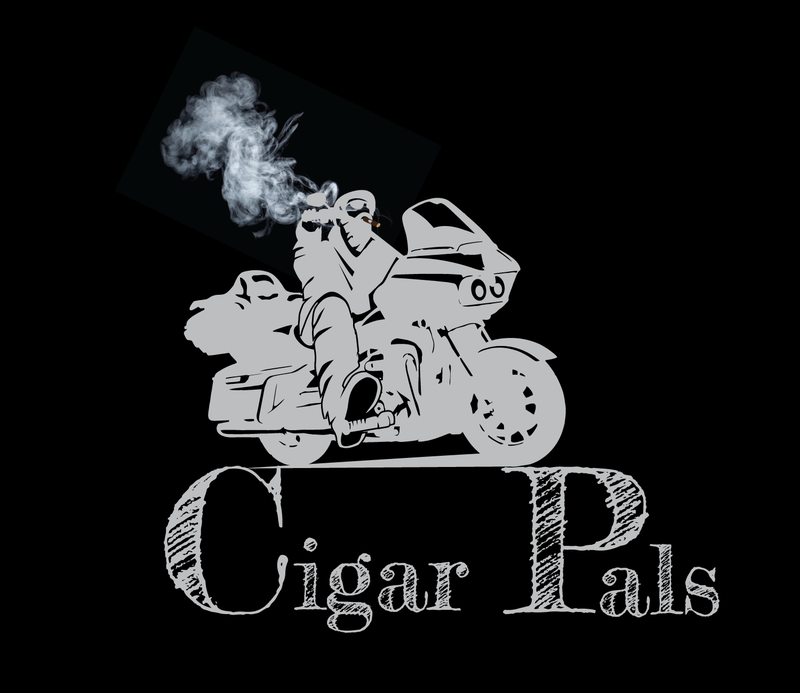 I did a search on Google and found a cigar store called Smokehouse Cigars and thought, names catchy, rekn I’ll just ride over and see if their is an adventure awaiting. I took off on the scooter and meandered through the back roads of south Georgia enjoying the first clear, fairly warm day in several days. There is some beautiful country side down here. Because of all the rain, rivers are swollen and there is a lot of flooding. Other than that it was an awesome day for a ride and I enjoyed it immensely. 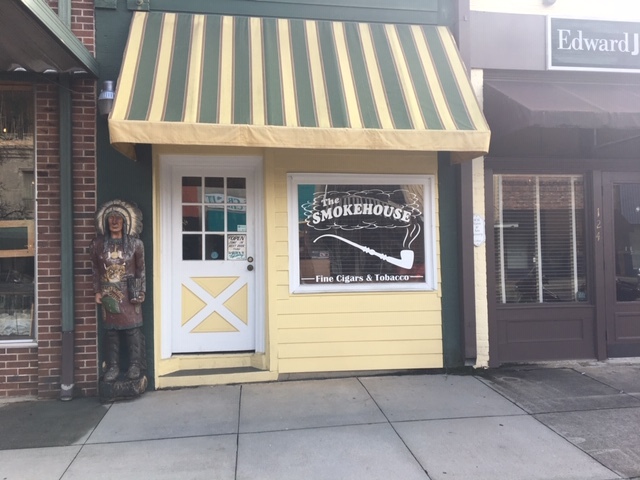 Rolled into Thomasville and pulled up in front of the Smokehouse. The first thing I noticed was a cigar store indian out front, which was cool, because I have a page on here dedicated to them and I knew I would have another one for the blog. 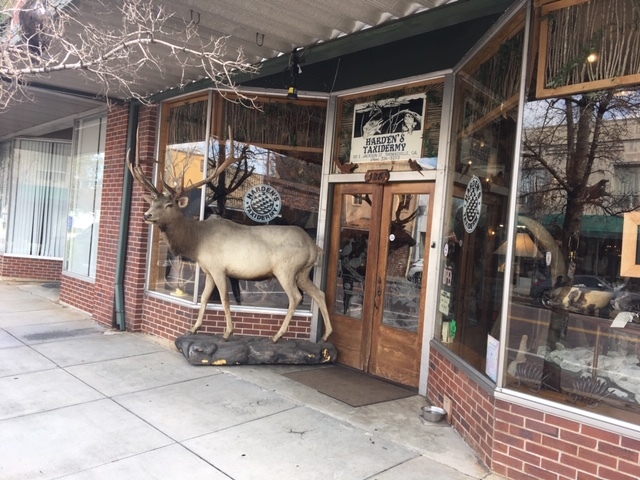 I started to go in and found that there was a sign that said “Please enter through Taxidermy shop”. Interesting I thought to myself. I wonder what cigars and taxidermy have in common? So I entered through the taxidermy shop and was escorted through the taxidermists, through their work room, which was in the back of the cigar shop into a small room up front, where to my delight were more wooden indians. The store was old and reminded me of places from my child hood, which was a very long time ago. 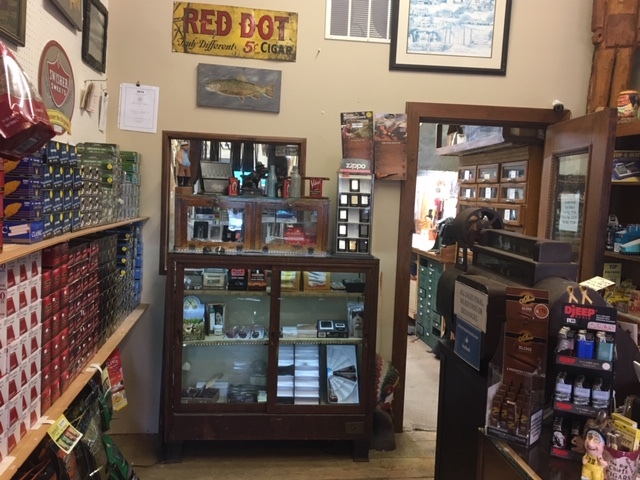 There were wooden floors and very old glass cases and boxes of cigars on the back wall. I didn’t hear or see a humidifier and the room did not feel like there was much humidity,( However I did purchase some cigars and have found them to be just fine). They did have an interesting selection of cigars. They had Punch and Fuentes as well as bundled Cuban knockoffs. I am sorry to say that the two ladies that I talked to declined to have their pictures taken and I did not get any names, but they did educate me! 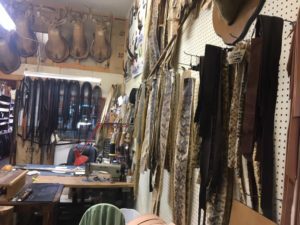 They told me that the store opened in 1924 and has been in four different locations and had three owners. So the story goes that back in those days they would also sell news papers and they could order books and school supplies. Reminds me of the News Stand back in my home town. 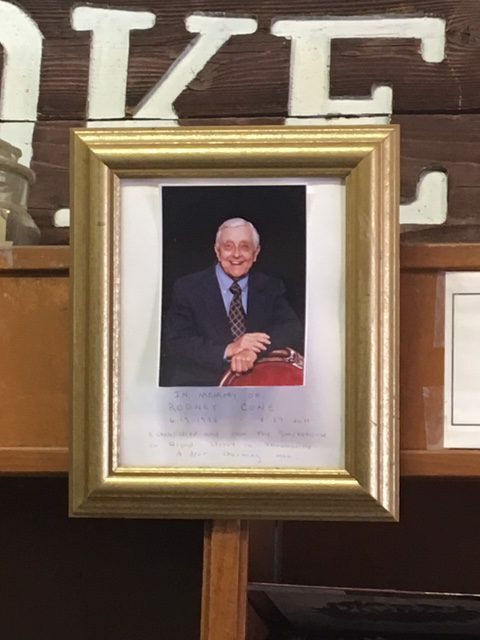 There is a picture of the previous owner Rodney Cone proudly displayed behind the counter and the ladies encouraged me to write about him. Not much to write, apparently he was well liked and ran the place for many years. 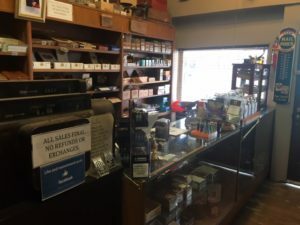 This was a place to get information and cigars. Back then they didn’t sell expensive cigars, people didn’t have money for fancy frills like imported hand rolled cigars. They were just common folk, and enjoyed gathering and discussing the news of the day. While we were talking I remembered some other history that I had recently learned. When The cigar rollers were rolling cigars all day long in the early cigar manufacturing plants. There was a guy called a lectore who would sit out in front of every one and read the news paper to them or talk to them about the events of the day. 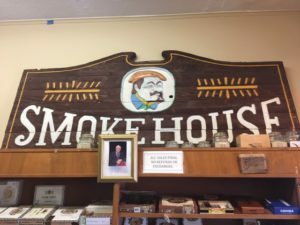 There ya have it, a little South Georgia History, and some from the early cigar manufacturers. 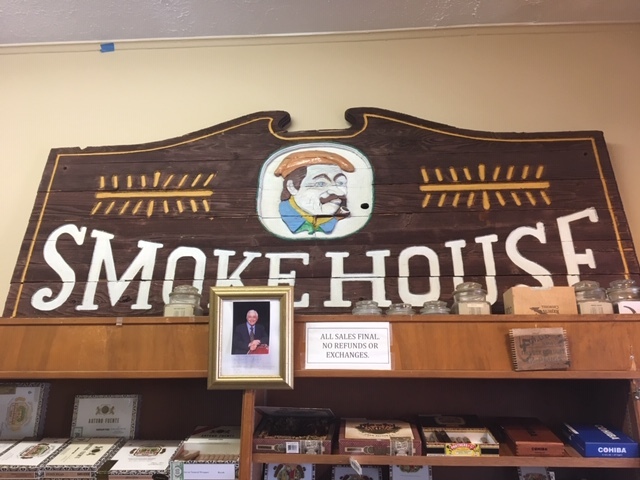 You also now know where to get a cigar in Thomasville Ga.
Just stop by Smoke House cigars and tell em Chuck from Cigar Pals sent you.